His new book, Fire & Blood, details the history of the Targaryen kings of Westeros. The hardcover will be released by Bantam Spectra and HarperCollins Voyager on November 20. 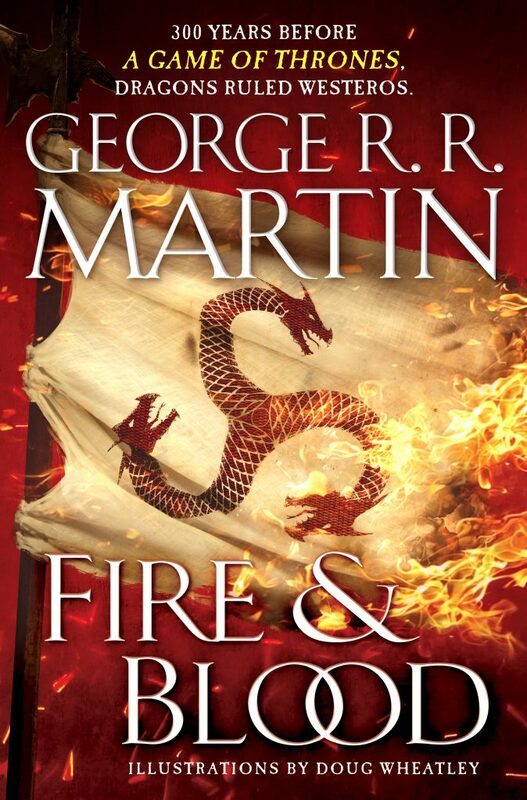 Fire & Blood will be the first book released in this two-part history. He’s also attributing his history to an Archmaester Gyldayn, meaning, I suppose, it will be written in the Archmaester’s voice. Fire & Blood will feature 75 illustrations by artist Doug Wheatley. The full mile-long title for the book is Fire and Blood: 300 Years Before A Game of Thrones (A Targaryen History) (A Song of Ice and Fire), and it is already available for pre-order. But when is The Winds of Winter coming out? The only (incredibly frustrating) answer we have so far is: not yet. Looking for more? Check out A Literary Antidote to Game of Thrones, YA Books for Fans of Game of Thrones’s Sansa Stark, 8 Things You’re Learning About History by Watching Game of Thrones, and all of our fantasy discussions.